Part of what makes The Center for Podiatric Care and Sports Medicine so unique is our adoption of the latest technological advances to heal foot and ankle injuries more efficiently. Not every New York City sports medicine center can afford to invest in breakthrough cures, and not every local doctor keeps up with current trends in the field. 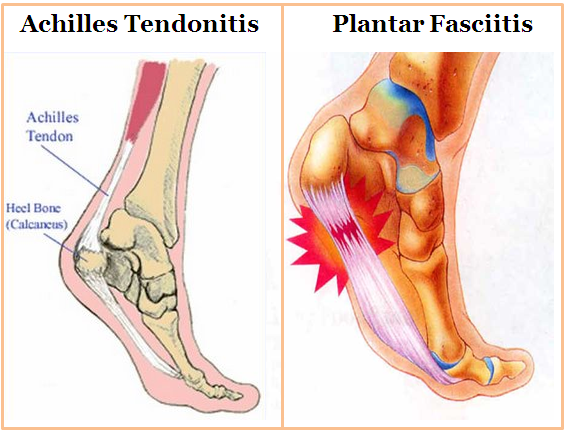 Achilles tendonitis and plantar fasciitis are two common ailments we treat with groundbreaking therapies. Achilles tendonitis and plantar fasciitis are two of the most common conditions treated at our sports medicine center in NYC. “We have been doing Platelet-Rich Plasma treatments for the past four years in patients with plantar fasciitis and Achilles tendinitis with fantastic results,” explains Dr. Josef Geldwert, director of the Center. “We are also using the FAST procedure of ultrasonic debridement with comparable results,” he adds. Platelet Rich Plasma is believed to work by “delivering a concentrated cocktail of cytokines and growth factors,” says LowerExtremityReview.com. Platelet Rich Plasma injections improved pain and function in patients who suffered debilitating pain and did not respond to conservative treatments, says Rocco Monto MD, an orthopedic surgeon from Nantucket and author of a new study on PRP treatment. In looking at 40 young girls with severe heel pain, Dr. Monto concluded that the injections led to improved performance in curl-ups, long jumps, single leg hops, and 0.8 kilometer runs. The average baseline performance score was 52 out of 100. Patients injected with steroids improved to an average score of 74 after six months, but dropped back down to 52 at 12 and 24 months. By contrast, patients injected with Platelet Rich Plasma reached an average score of 94 after six months, maintained a score of 94 after 12 months, and 92 at 24 months. The study, published in the Journal of Athletic Training in February 2014, and in the Foot Ankle International Journal in January 2014, confirmed PRP as a “cost effective, time efficient” intervention. Dr. Monto admitted that he was surprised at the long-term durability of treatment with Platelet Rich Plasma. 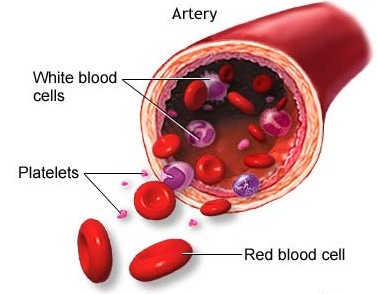 PRP therapy separates platelets from other components in the blood to rev up your body’s natural healing mechanisms. A similar study last year by researcher John J. Wilson from the University of Wisconsin. He looked at 24 cases of plantar fasciopathy lasting for at least three months that had not responded to orthotics, braces, or physical therapy. After a single injection of 3 ml PRP and a week of wearing a boot, patients resumed their regular activities. At 32 weeks, patients exhibited 32% improvement in their daily lives, and 82% improvement in their sport performances. “For patients with chronic, difficult-to-treat plantar fasciitis, PRP effectively reduced pain and symptoms without surgery, so it’s a viable alternative in that group,” concluded Dr. Wilson, whose study was published in the February issue of Foot & Ankle Specialist. Compared to cortocosteroid injections, PRP injections do not weaken the tissue or increase the risk of ligament rupture, he added. For Platelet Rich Plasma therapy, we draw a small sample of blood from you and place it into a centrifuge to separate the platelets from other components. We then inject this highly concentrated plasma back into he site, which boosts the body’s natural healing process. Unfortunately, insurers are often slow to catch up to the latest advances in medical care and they do not currently cover the cost of Platelet Rich Plasma therapy, which can be up to $1,000 out of pocket. Another option patients may elect is Focused Aspiration of Soft Tissue (FAST) to treat foot pain, as health insurance does cover this procedure. For this relatively new treatment, we sterilize and numb the injured area, make an incision the size of a grain of rice, and insert a needle-like probe. We turn on a machine that breaks up and removes damaged tissue. Patients do not feel a thing! The FAST procedure is quick, painless, and covered by insurance. Experts at our Center will work with you to decide upon the most advantageous treatment for your condition, at a cost you can afford. Our goal is to help you gain back the mobility you may be lacking due to Achilles tendonitis and plantar fasciitis. Don’t let these conditions hold you back. Contact us for a consultation today!